During His mortal ministry in Palestine, Jesus taught His disciples, “other sheep I have, which are not of this fold” (John 10:16). When He appeared to the Nephites, He told them that they were among the “other sheep” that must be brought into the fold (3 Nephi 15:21). The Nephites were actually part of some of the tribes that were “lost.” Thus the “other sheep” referred to them, among others. 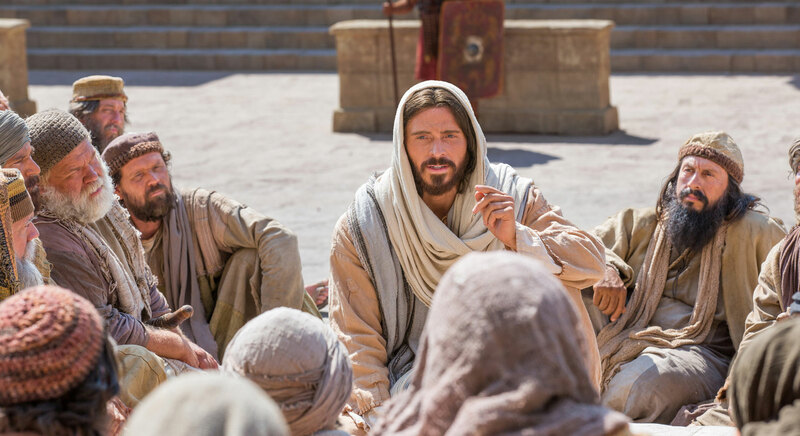 However, the people of ancient Judea understood him “not, for they supposed it had been the Gentiles; for they understood not that the Gentiles should be converted through their preaching” (3 Nephi 15:22). Scholars are divided on what John 10:16 actually means, so this is one occasion when the Book of Mormon can help readers to understand the New Testament, rather than the other way around. When one looks at the Gospels in light of 3 Nephi 15, one can see an overlooked theme that runs through them. The gospels actually discuss the gathering of all Israel, including the northern “lost ten tribes” of which the Nephites and Lamanites were a part. This underappreciated focus on bringing the lost tribes into Christianity helps to explain the comments of Jesus in John and 3 Nephi. An event that took place shortly after the birth of Jesus is a good example of this. When Joseph and Mary took Jesus to the temple to be circumcised, they encountered an elderly lady named Anna who spent most of her time at the temple. When she saw Jesus she, “gave thanks likewise unto the Lord, and spake of him to all them that looked for redemption in Jerusalem” (Luke 2:38). At this time, the word “redemption” sometimes referred to the gathering of Israel. Anna was from Asher, one of the northern tribes, and her name and the name of her father were associated with people from the ten tribes taken captive by the Assyrians. Thus it is likely that she was referring to the gathering of all Israel, including the ten tribes. It is also significant to note that Jesus began his preaching in Galilee (Mark 1:14), the traditional territory associated with the ten tribes in the northern kingdom of Israel. He then took a winding route south, gathering followers from the territory of the ten tribes and bringing them all to Jerusalem. One could see this as a symbolic regathering of the northern tribes back to Jerusalem. Similarly, he gathered together his first followers by telling them that they were to be “fishers of men” (Mark 1:16). This is likely an allusion to Jeremiah 16:15–16, which discusses the gathering of all Israel, including the lost ten tribes, from the places to which they had been scattered. Eventually, Jesus surrounded himself with twelve key followers, who could be seen as representing a symbolic reconstitution of the twelve tribes of Israel. He even told them that they would “sit on twelve thrones judging the twelve tribes of Israel,” implying that the lost tribes would be gathered together with the rest of Israel (Matthew 19:28). Finally, the connection between the “lost tribes” and “lost sheep” in the ministry of Jesus can be seen through Jesus’ actual words. Once, when a gentile woman was asking Jesus for help, He refused at first by saying that He was “not sent but unto the lost sheep of the house of Israel” (Matthew 15:24). He eventually helped the woman anyway, but this comment is telling. It indicates that, for Jesus, the “sheep” in need of gathering together were not gentiles, but people from “the house of Israel.” Thus, the idea that the “other sheep” were northern Israelites like the Nephites is significantly supported by the Gospels. Some readers of the Book of Mormon may think, at times, that God has forgotten them, and that they are utterly alone. The New Testament, when read in conjunction with the Book of Mormon, is a powerful witness that God does not forget about his children. The people of the northern kingdom of Israel were scattered throughout the Assyrian empire in 721 BC, and were basically lost to history. And yet, 750 years later, Christ still cared about them, and actively worked to gather them into the gospel. His own words say it best: “But now I go unto the Father, and also to show myself unto the lost tribes of Israel, for they are not lost unto the Father, for he knoweth whither he hath taken them” (3 Nephi 17:4, emphasis added). President Dieter F. Uchtdorf stated that, “as an Apostle of our Master, Jesus Christ, I proclaim with all the certainty and conviction of my heart … wherever you are, whatever your circumstances may be, you are not forgotten.” With 3 Nephi, President Uchtdorf declared, “No matter how dark your days may seem, no matter how insignificant you may feel, no matter how overshadowed you think you may be, your Heavenly Father has not forgotten you. In fact, He loves you with an infinite love.” The scriptures remind all who read them that just as Jesus Christ remembered HHis “other sheep,” He will remember all His children, even today and forever. New Testament scholar Raymond Brown, for example, gave two different opinions about what this verse means. At one point he said that this represents the gentile mission, but later on he said it actually related to other groups of Christians. The gentiles are a slightly more common interpretation, but not a universal one. See Raymond E. Brown, The Gospel According to John I–XII: A New Translation with Introduction, and Commentary, Anchor Bible 29 (Garden City, NY; Doubleday, 1966), 396; Raymond E. Brown, “‘Other Sheep Not of This Fold’: The Johannine Perspective on Christian Diversity in the Late First Century,” Journal of Biblical Literature 97 (1978): 5–22; Andreas J. Köstenberger, “Jesus the Good Shepherd Who Will Also Bring Other Sheep (John 10:16): The Old Testament Background of a Familiar Metaphor,” Bulletin for Biblical Research 12.1 (2002): 69–70. For an excellent summary of this topic, see James M. Scott, “Exile and Restoration,” Dictionary of Jesus and the Gospels, ed. Joel B. Green, Jeannine K. Brown, and Nicolas Perrin (Downer’s Grove, IL: InterVarsity Press, 2013), 251–258. Scott, “Exile and Restoration,” 252. Richard Bauckham, “Anna of the Tribe of Asher [Luke 2:36–37],” in Gospel Women: Studies in Named Women in the Gospels, ed. Richard Bauckham (Grand Rapids, MI: Eerdmans, 2002): 77–107. Richard Bauckham, “Tobit as a Parable for the Exiles of Northern Israel,” in Studies in the Book of Tobit: A Multidisciplinary Approach, ed. M. Bredin (LSTS 55; London, UK: T & T Clark, 2006) 140–164. S. Freyne, “The Geography of Restoration: Galilee-Jerusalem Relations in Early Jewish and Christian Experience,” in Restoration: Old Testament, Jewish, and Christian Perspectives, ed. J.M. Scott (JSJSup 72; Leiden: E. J. Brill, 2001), 405–433. Ed Parish Sanders, Jesus and Judaism (Philadelphia, PA: Fortress, 1985), 95–106. William Horbury, “The Twelve and the Phylarchs,” New Testament Studies 32 (1986): 503–527. This saying likely goes back to Jesus himself, and was only later applied to the gentiles by others. See Raymond E. Brown, The Gospel According to John I–XII: A New Translation with Introduction, and Commentary, Anchor Bible 29 (Garden City, NY; Doubleday, 1966), 396–397. Douglas S. McComiskey, “Exile and Restoration from Exile in the Scriptural Quotations and Allusions of Jesus,” Journal of the Evangelical Theological Society 53/4 (2010): 673–696. Dieter F. Uchtdorf, “Forget Me Not,” Ensign, Nov. 2011, 122, online at lds.org.